Each year, more Americans ride their bikes to work in order to save money, reduce their carbon footprints, and get some additional exercise. But since our roads have been dominated by cars for nearly a century, they’re not always friendly to bike-riding commuters. 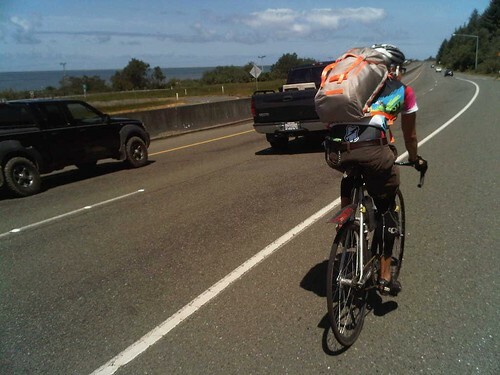 In California alone, about 130 cyclists are killed and more than 11,000 are injured each year in bike accidents. Such statistics led Los Angeles Mayor Antonio Villaraigosa, who recently broke his wrist in a bike accident, to promote safety at his “bike summit” last month, reigniting the debate on bike laws statewide. Fortunately, the two proposals are not mutually exclusive, and California bike safety will benefit if they are both adopted on the local and state levels. While cyclists are generally responsible stewards of road safety, road conditions and other drivers cannot be trusted to foster sufficient safety conditions. So instead of viewing these proposals as threats, I hope cyclists will begin to join the call for increased road safety both by requiring helmets and promoting substantive changes to driver behavior.